Hi Everyone and Happy Sunday to you! Today for #SundaySupper we are to bring a slow cooked meal to the table. For me, I originally wanted to get a smoker and slow cook some beef brisket, but that wasn’t happening for me. So when else fails, I pulled out my handy dandy Crockpot and made some spring time Minestrone Soup. The soup is a snap to put together, matter in fact the night before I chopped up all my vegetables so in the morning I can just add everything to the Crockpot and head off to work. I love coming home to dinner being just about already done. The only things I had to do was add my zucchini and cook my pasta. Ok, cooking my pasta is a lie. But I’m telling you to cook the pasta separate from the soup. I added the pasta 30 minutes before I was getting ready to serve it and the noodles basically fell apart. They kind of look like rice. It still tasted good. Now normally I always cook my pasta separate, but this time I didn’t, that was a mistake. If you don’t mind your pasta, falling a part or being over cooked, then just toss it in the soup. It doesn’t taste bad at all, and it does save time, but for looks, you kind of want to see the pasta. I used Trader Joe’s High Fiber Penne Pasta. The ingredients I used is chicken stock, but you can use vegetable stock, onions, garlic, tomatoes, kidney beans, carrots, celery and zucchini I really like the addition of the zucchini in the soup. Since it didn’t cook that long, it was soften, yet it had a slight crunch to it. Love zucchini!!! I topped my soup with a little Parmesan Cheese and hot sauce. For some reason when I have a tomato based soup, I like to add hot sauce to it for an added kick of heat. Not a lot, just a little. My Husband thinks I am weird! An Italian, hearty, good for you broth based soup full of vegetables and pasta. In a Crockpot; add the broth, diced tomatoes, kidney beans, carrots, celery, onion, oregano, basil and pepper. Cover and cook on LOW for 6 to 8 hours or on HIGH for 3 to 4 hours. Thirty minutes before the soup is done, add the zucchini. Cover and cook 30 more minutes. Season with salt and black pepper. Meanwhile, cook the pasta according to manufactures directions. I don't recommend putting the pasta in the soup because it falls apart if it is in the pot to long. Spoon pasta into bowl and ladle soup over the pasta. I didn't add salt to the soup, until the end, I recommend adding some to your taste. I'm trying to cut back a pinch on sodium, so use your judgement, I would recommend maybe a half teaspoon. I have to say, I enjoyed this soup and it’s fantastic to have lunches already made for me. That’s one thing I hate doing is making lunches every night. I normally eat salad, so it’s a lot of chopping. I try to chop a bunch of veggies on Sundays so I can just toss some in my salad, but I never do. I’m kind of bad that way. Be sure to check out what slow cooked meals everyone from #SundaySupper has made. I need some more slow cooked meal ideas. I can’t wait to see what they have come up with!! That’s when I think, man I should have made that or wow, didn’t know you can do that. It’s amazing what recipes people can come up with. I think that is what makes cooking so much fun! P.S. Here’s a pic of my soup at the dinner table, mixed with my hot sauce and cheese. It’s crazy the difference in color from one part of the room to the other. 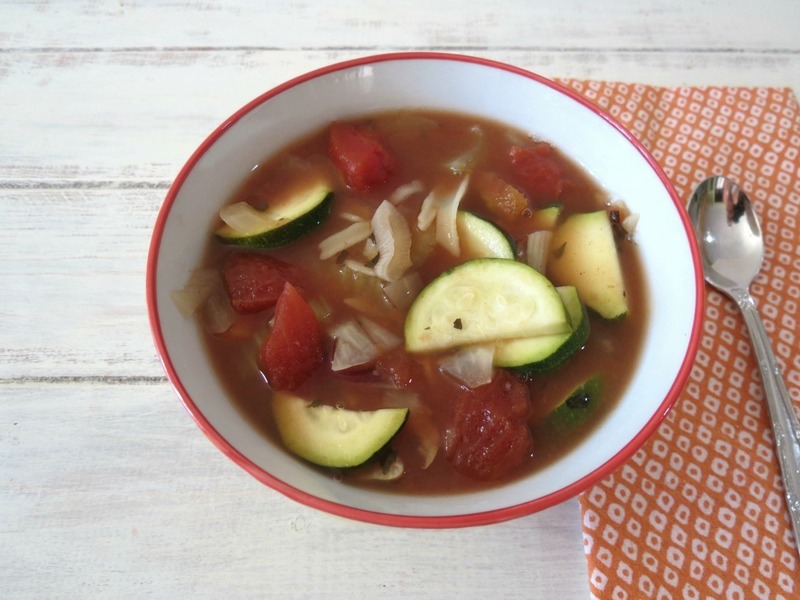 I think this soup perfect represents cooking low and slow with fresh summer ingredients! Wonderful recipe. I think minestrone with a kick is the way to go. Looks great, with or without the falling apart noodles…! I’m with you and the hot sauce! Gives it that little somethin’, somethin’! I am with you! I can eat soup any time of the year, cold or not. 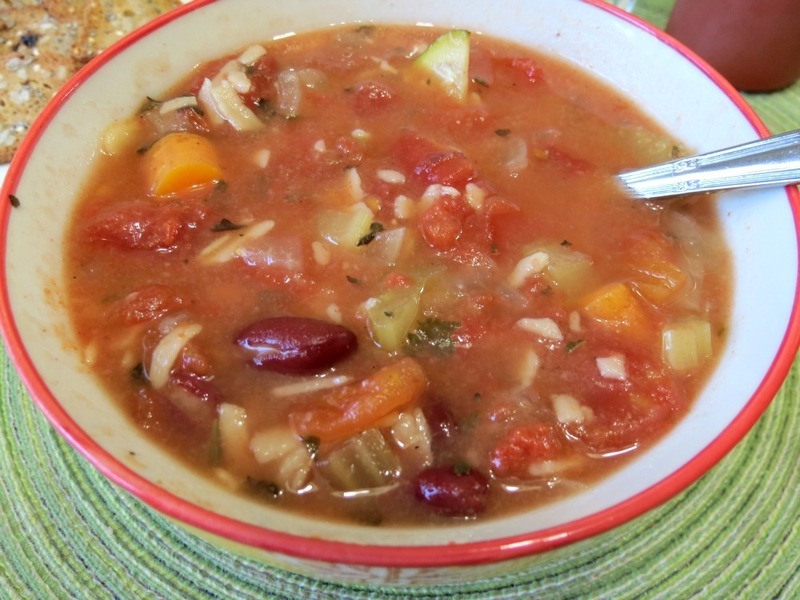 Your minestrone looks healthy and delicious! I love any sort of soup – and a dash or three of hot sauce for kick, as well. Sounds delicious! I agree – soup all year ’round! 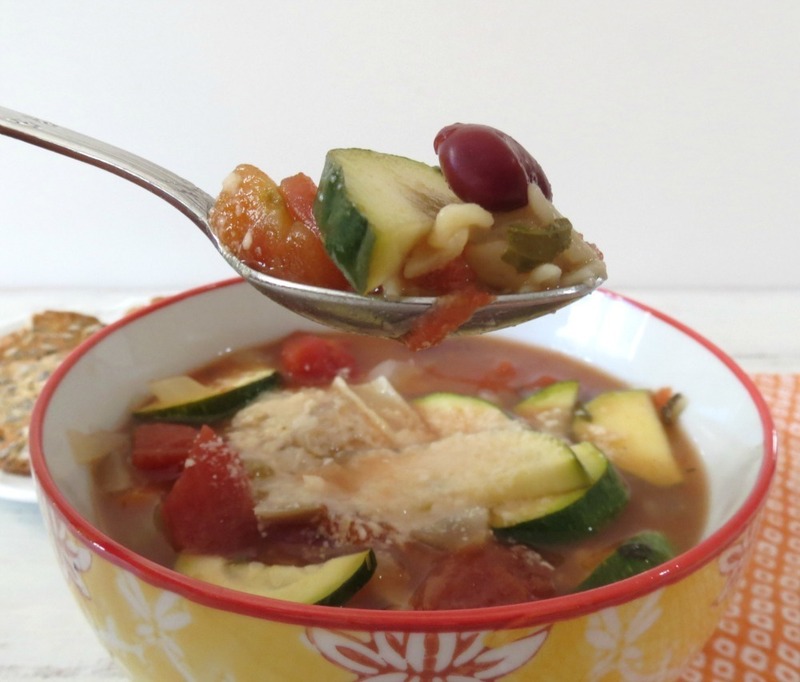 Minestrone is one of my favorites, and yours looks delicious! I love soup all year too. Minestrone is so versatile. A wonderful, light soup – perfect for spring. Thanks for sharing your recipe with us! Mmm… love all the summery ingredients – veggies and what not. Yes! This is a must make soon. I love slow cookingn soup. 🙂 Great recipe! Quite the color change but I’m with you. I always add cheese and hot sauce to minestrone soup. It’s a rainy day here with distant thunder. It’s a perfect day for a soup like this. And you are not weird for adding hot sauce to tomato based soups or recipes. I do it all the time. I love the kick of heat. I am with you – soup is good anytime of year. I eat it for breakfast, my girlies take it for lunch and your minestrone sounds fantastic! Yes, I do need to get that slow cooker 🙂 this is the perfect recipe. Thank you for sharing. YUM!!! I love zucchini too, and have grown to love kidney beans… especially when I’m looking for a meatless meal. Fantastic recipe… thanks for sharing! I love a good minestrone and yours looks fabulous!! Thanks for sharing!! You can’t go wrong with a good bowl of soup! We eat it alot, even when it’s warm. Spicy and full of veg – that’s my kind of soup! 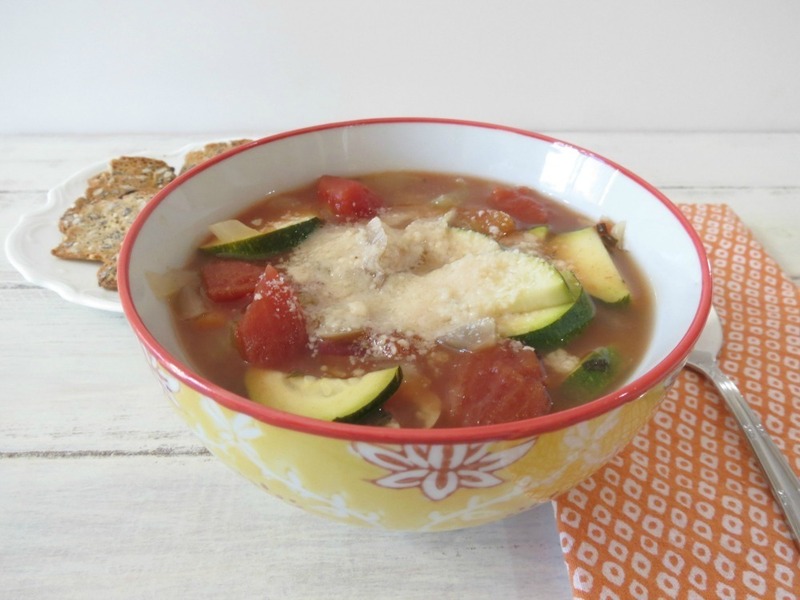 I love Minestrone soup and summer is such a great time to make it with all veggies! Jennifer – Yum! 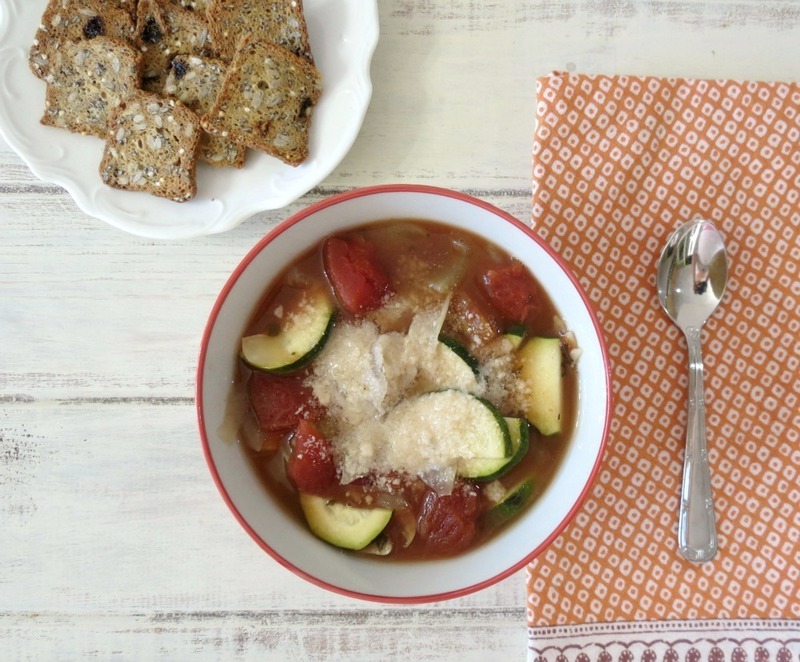 Your Minestrone looks fabulous! Thanks for sharing! Minestrone soup is my fav!! Nothing like combining all your favorite veggies and letting it cook all day!! I couldn’t agree more! I just love the Crockpot! I was cracking up when I read you comment! You got it, hey are TJ’s Rosemary and Raisin Crackers! I love them! I dip them in a cream cheese and cherry jam combo!! LOL…maybe I can get Bill to eat zucchini this way! Looks like a marvelous soup, Jen!!! Bet this soup has lotsa flavor ! Great for summer. Will be trying this !! looks good. Thanks Sunithi! 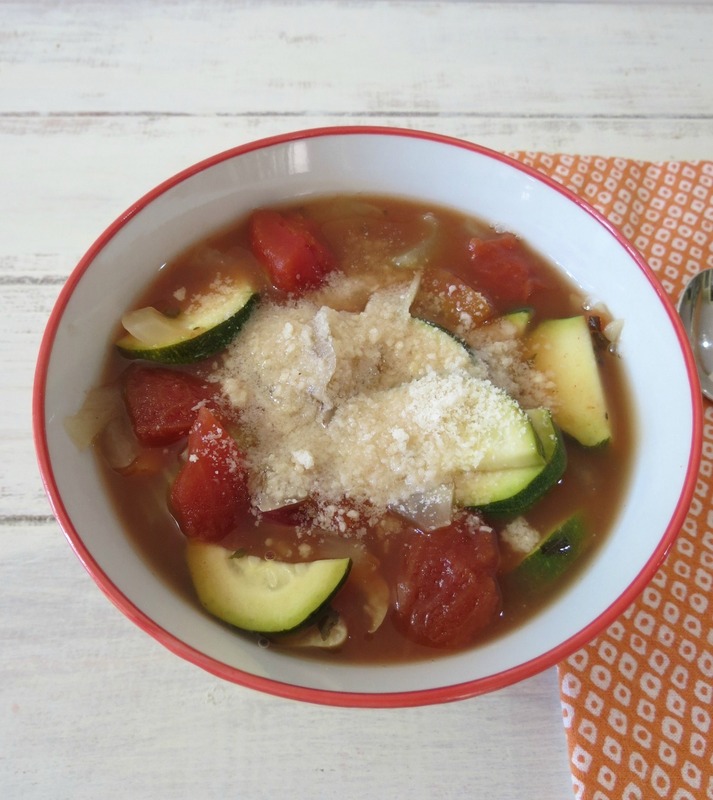 I love making this kind of soup with summer vegetables! Love all of the colors in this soup. Our house loves soup. I never thought about adding hot sauce, but thats a great idea for a little kick! Thanks Isabel! I do love my hot sauce and find any excuse to use it! This looks like such a great soup. Nice and light, and I love the Parm and hot sauce. I’ll have to be sure to try that the next time I have a minestrone. I agree, I can eat soup all year around, too! I made Minestrone for a little Oscars party get together a few years back. My friends were all nice and complimentary of it, but I thought it was just OK. The flavors were sort of muted. Well, the next day, reheated, it was AMAZING. I wish I could have invited all of my friends over again and served them another bowl! Lesson learned for next time. Making a soup in the crock pot is such a simple idea and one that I often forget about. I need to make more crock pot soups like this.